The goodwill we have gained in the market is due to our offered Institutional RO Plant. This plant is suitable for purifying water for drinking or industrial application in hotel, institutions, government body or corporate companies to cater their guest or employee. It is manufactured using supreme grade components and ultra-modern techniques under the surveillance of trained professionals. 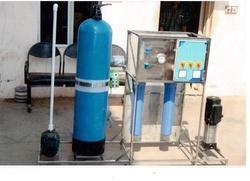 Clients can avail this plant from us at market leading price. Looking for “Industrial FRP Reverse Osmosis RO plant”?